In a post to the company's official blog, Google Cloud Senior Vice President Diane Green revealed that once the change takes place, Gmail will serve ads based on a user's settings. Presumably, ads will still be tailored based on the account's search results. The change brings free Gmail accounts in line with the paid G Suite Gmail service, which already did not scan ads for personalization. After the switch, both free Gmail and G Suite Gmail will be under the same advertising policy. "Consumer Gmail content will not be used or scanned for any ads personalization after this change," Green wrote. 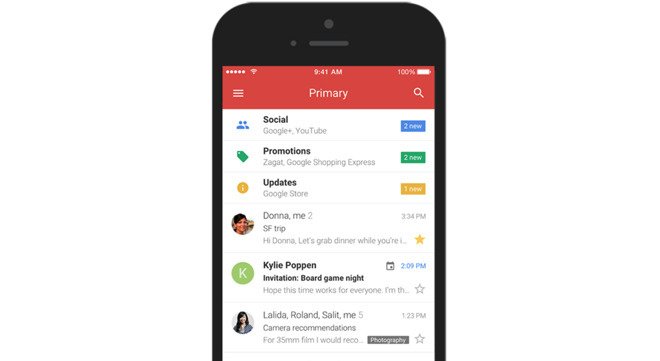 "This decision brings Gmail ads in line with how we personalize ads for other Google products. Ads are shown based on users' settings. Users can change those settings at any time, including disabling ads personalization." Gmail has 1.2 billion users worldwide, and competes with Apple's iCloud mail service. Unlike Gmail, Apple's iCloud is not ad-supported. "No other email service protects its users from spam, hacking, and phishing as successfully as Gmail," Green said.